Are you sick of sleeping on a hammock mattress? 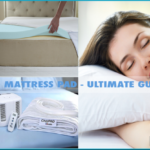 Then you are on the right page to get some of the proven tips and tricks to help you improve your mattress and in turn help you sleep better. 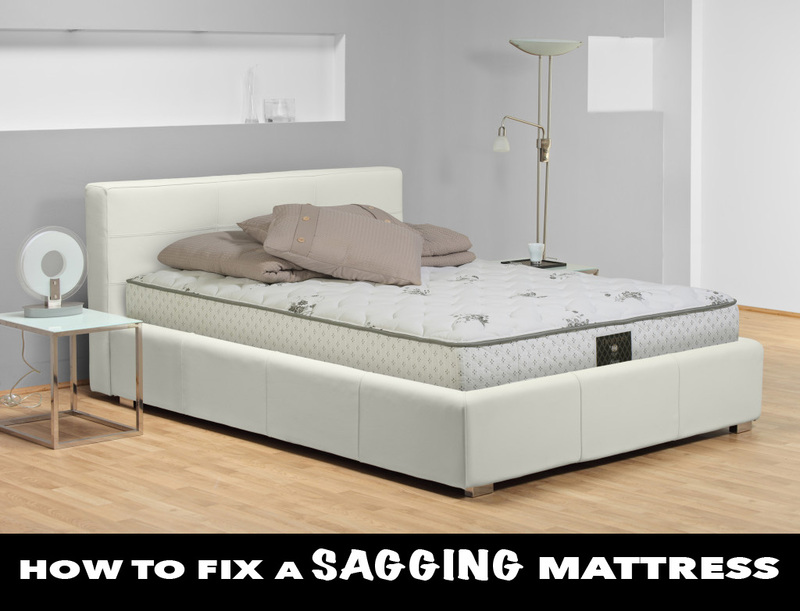 In this article, we’ll show you some simple and right ways to fix sagging mattress. A sagging mattress is the mattress that has an uneven surface and doesn’t support the body equally. A saggy mattress becomes soft due to the disintegration of the mattress cells in case you have conventional mattress or it may become uneven because of the pressed springs if you have a spring mattress. A lumpy, saggy and depressed mattress can be a lot of trouble because your body will not have the even surface that is necessary to retain your body posture. This may cause unnecessary pressures on your muscles and joints and will not let you sleep calm. So, you must have interpreted how harmful is to have a sagging mattress and why you should either replace it or fix it to make sure you will be able to avoid sleeplessness and bodily pains. 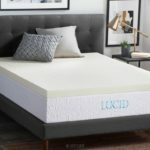 Here we will be discussing about some of the most popular and proven tips and tricks to make sure you can sleep easy even if you have an old mattress. Here we’ll be discussing the best fixes one by one for these two types. 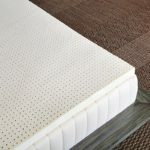 In addition to these mattresses, there are latex mattresses and memory foam mattress, but due to the materials and longevity of these mattresses, they are less likely to become a sagging mattress. Today, there are a number of different types of mattresses available on the market, including various traditional mattresses, complete multilayered bedding systems, memory foam mattresses and spring mattress. But in past people only have the choice of having a traditional foam mattress and they can only choose from various options with different thickness levels. The thicker the foam is, the more it will survive and will remain in a good condition. Placement of the mattress on an uneven surface, etc. If you have a mattress having depressed areas in the middle of it, just pick some soft fiber filled pillows, small sized pillow can do the best as they can be placed in the specific place. Just put the pillows beneath the area and you will be able to sleep easy on an even surface. There should be a plain plywood placed under your mattress. 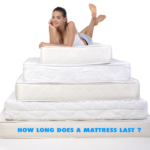 See if it is in a good condition or have any pressed are causing your mattress to give a saggy look. If possible you may place another plywood underneath the mattress or replace the previous one. 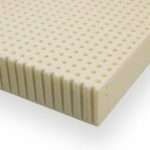 You can use a mattress topper or mattress pad on top of your foam mattress. There are different kinds of mattress toppers and mattress pads available on the market. You can find fiber filled, down filled or memory foam mattress toppers. If you need to even out a lumpy surface and deep depressions, you should go for a thick mattress topper made of memory foam as it will cover and adjust to the surface and will give your body an even and well balanced surface. In case there is a little issue with your mattress, you can even out the mattress by using a fiber filled mattress topper or mattress pad. Check out the best toppers/pads here. Tips: if you need to prevent sagging mattress problems, you should care for it right from the start. Avoid moisture and liquid spills, cover it with a waterproof protector, flip its sides on a regular basis, avoid direct sunlight and make sure you don’t wash your mattress frequently. A spring mattress can be made of springs installed in a closed mattress or it can be a box mattress having springs encased in boxes that can be replaced easily. + To help your spring mattress stay even, you can look for the damaged or compressed springs and replace them. You can easily replace box springs and get a new one. They may be available in different size, so choose the ones that matches your mattress springs. + You can also replace the slats underneath the mattress to support the mattress appropriately. Sometimes wooden slats and frame may cause slight depression in the middle and it may result into the uneven surface of your mattress. You can easily fix it by installing new metal slats that would give a smooth surface. + In case of minor issues and depression you can use a mattress topper or a mattress pad. In addition to all these easy and cheap remedies for sagging mattresses, there is also an option to use mattress helper. This is a new solution introduced to fix sagging mattresses. It is made of high density materials and can help support the sagging mattress areas. So, winding up our list of cheap and easy solutions that will help you save a lot of money that you’d spend for buying a new mattress. Now you can save more by just fixing your old mattress by using the above mentioned tactics. We have tried our best to give you all the information and proven ways to make sure you get the best results. 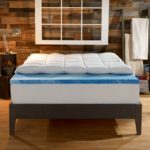 Hope you will find them helpful and you’ll implement one of these to prevent or fix your sagging mattress for a better sleep. 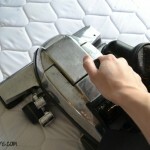 Thank you so much for your kind mentioning of my Mattress Helper! Wishing you health and happiness. You’re welcome! Thank you for your wish! Hi , i wonder could you advise me.We bought a £1500+ mattress box spring bed with mix springs memory foam and inner foam.Within 5 months we started having problems with sensation of me the lightest sleeper sliding off the bed.We looked at our mattress and there is a visible difference in the surface on my side 2.5 centimetres .there is also a perceivable mound effect in the middle of my side of the mattress.Im having to lie on the mound to feel like im not sliding out of bed.Its so uncomfortable .no matter how i sleep i end up clinging to the very edge of the bed when i awake.kiterally the very edge.We asked the shop to look into this …they acknowledged the height difference and mound effect to right of my side i sleep left side.Now they are saying this is normal nothing wrong with the bed! Is this correct in a 6 mnth old mattress ? I feel we are being lied too.Any general guidance on expected wear and tear would be great . Try pieces of carpet remnants laid on the box spring in the location & inverted shape of the sag. The backing will help to keep the repair in place. Thanks Rick for sharing your idea with us. Thanks Rick! That sounds like a good idea. I have a problem where I roll to the middle. Pillows sound like it would be lumpier. Carpet remnants sound like a plan to try. The 4 inch memory foam I added helped a little but still sags in the middle.. I gave a firm pillow top queen mattress that I sleep alone on…I have arthritis in my lower back…my mattress dips in the middle now…should I try the pillows under mattress where it dips or buy a thick form topper and a ply board between mattress and topper? Help please! I think you can try with your pillow for a few days to see if it works, you have nothing to lose here =)) If it can’t help then you can think about other solutions or buying a topper which is probably the better solution in the long run. I have quality fiber topper for sagging mattress. The topper visiblly just sinks right into the original sag. Mattress has been this way before it was 2yrs old bought for me by my daughter & hubby from Mattress Firm on sale for $799+tax. It just made 3yrs. I’ve talked to Mgr. to replaceno success. I think my kids just don’t believe it or too busy. I’ll reach out to corporate. Im starting to hurt from it. Any help advice will be appreciated. Thx. My son in law set up my bed on a metal frame. After about a month and a half having many sleepless nights and back aches like crazy I told him it felt like there was no support with the frame and the bed was sagging. Sure enough there was no support in the middle of the frame. 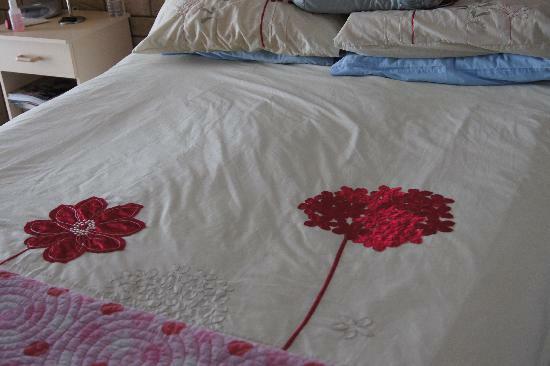 Now the one side of my bed sags giving me the worst night sleep – painful back etc. I bought a new ‘Orthopaedic’ mattress on 4th July. It wasn’t expensive but on 12th July it began to sag, not in the middle, on the edge. I can feel a metal frame underneath when I sit down which is causing me pain as I have Fibromyalgia and Osteoarthritis amongst other disabilities. I have been in touch with the company that supplied this substandard mattress and have asked them to replace it but they don’t answer my messages. As I can’t afford another mattress can you tell me how to prevent the mattress from sagging at the edges please? I don’t know exactly about your mattress problem (how thick it is, how bad/big/deep is the sagging,…) so I cannot give a specific advice. You SHOULD try to contact the mattress store and ask for a replace. Or you can use a mattress topper if the sagging isn’t deep (this is the best way to improve your mattress comfort if the sagging is not deep). a way forward could be via your credit card company if you paid for it by credit card – under section 75. they will open a case against the firm as the mattress is unsatisfactory. Good luck! The pillows underneath a “non-flip” mattress worked! So I got a new mattress and my husband wants to put it on top of the old mattress.. the old mattress is saggy will that affect the new mattress. Should I just make him get rid of the old mattress?? The idea was one of those palm to the forehead ideas but I’m so glad I found your article. I am glad that you talked about mattresses sagging. My mattress is starting to do that. It is good to know that minor issues can be fixed with a mattress pad. I will have to give that a try and see if it works. Wow, I can’t believe it, but the pillow trick worked perfectly with our tempurpedic mattress. We used cheapo $10 body pillows we found at target on a back to school sale. Our mattress feels like new. Thank you! You’re welcome! I’m happy to hear that. I am fat. I have fibromyalgia as well. I was given a plush mattress for Xmas two years ago along with a twin platform- style daybed frame. For the last 10 months I have battled this bed and mattress to no avail. I have flipped it several times but it still sinks in the middle. It also doesn’t really fit well on the bed’s platform, so I have have almost fallen out of the bed many times when turning because the mattress actually slants on one side as if I’m trying to sleep on the side of a hill! I am on an extremely tight budget and can’t afford a new mattress right now. I can get a topper though, but I wonder if there are toppers better for heavier people?